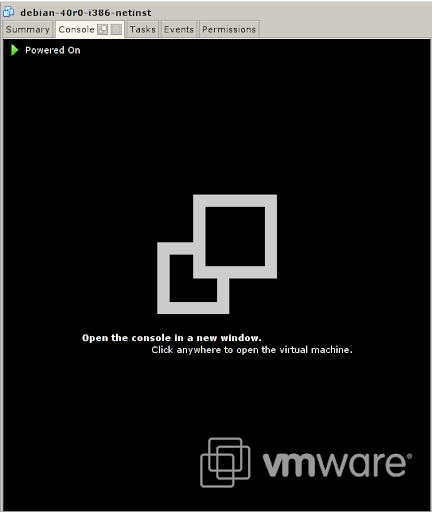 Last week i downloaded the new VMWare Server 2.0 to see what has changed from 1.0.x to 2.0. 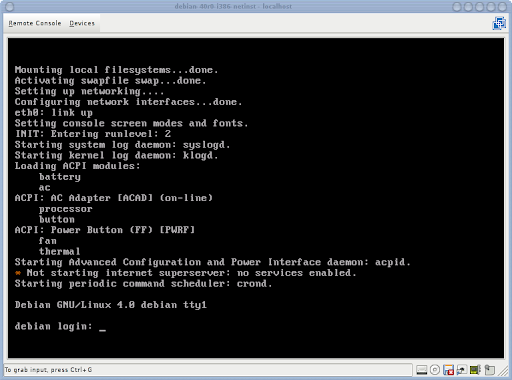 I installed it on Debian Linux on my laptop and the installation process was like in version 1 the same text based procedure. If you want to know, what are the complete features take a look here. So let's start with some screenshots. 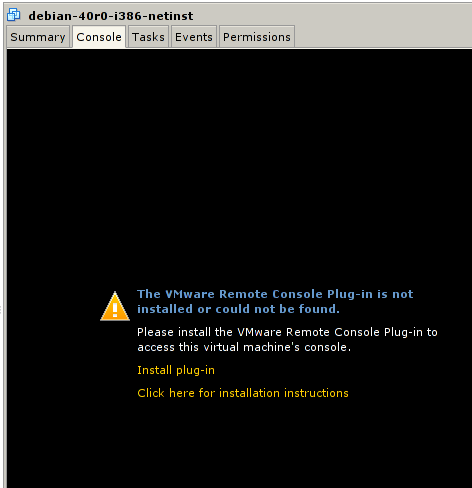 You can access the VMWare console via http://localhost:8222 or https://localhost:8333. 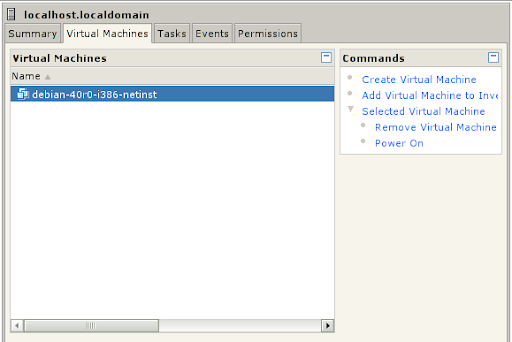 Under commands (right tab) you can click create virtual machine or add virtual machine to inventory. 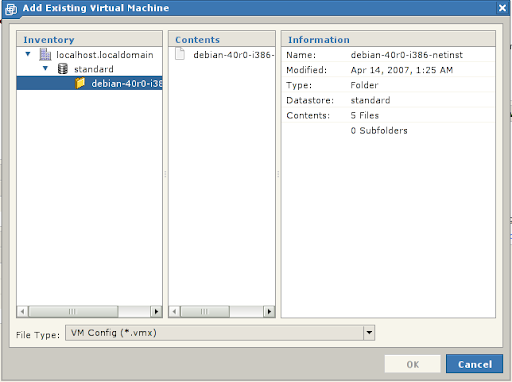 In the middle tab of the WMWare Console you can see this virtual machine and in the commands window, you can click Power on. 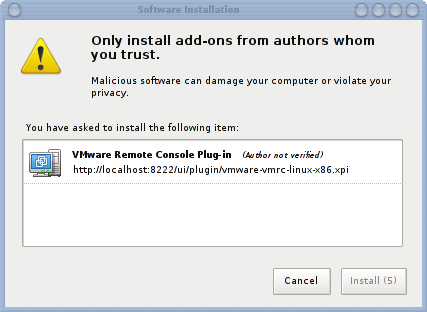 Yes, there are some things which could be better, but if you really want this in production quality, you have to move the other (non-free) VMWare products ;-).